Billy Graham, world-renowned evangelist, author, and Pastor to Presidents, has passed into the presence of his Lord and King, Jesus Christ. He was 99. Those who know Billy Graham only from his latter years may be unaware of what brought the tall, thin North Carolinian to national, then global, prominence: his preaching. Videos of a younger Graham shows a man laser focused on truth; passionate, determined, convincing. The Word of God, carried by a Blue Ridge Mountain accent, reverberated in tents and stadiums around the world for more than a half-century. People in 185 countries filled venues night-after-night to hear God’s Word preached. 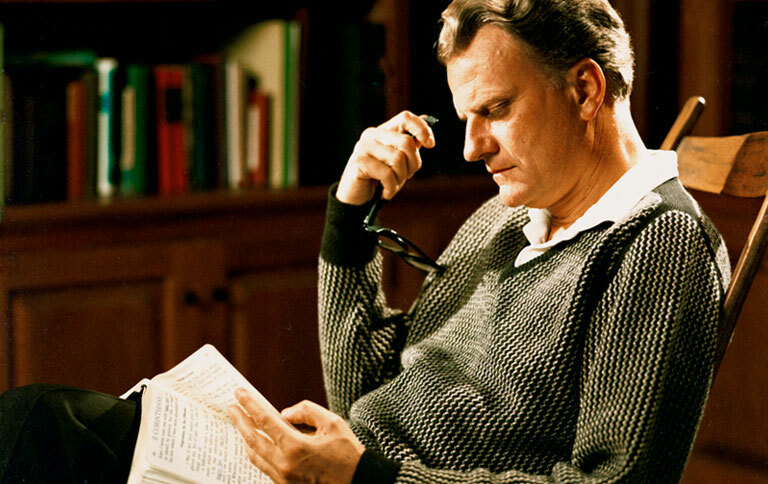 Reported to have preached to 215 million people in person in his lifetime, Billy Graham pioneered methods, mobilized Christians, and endorsed leaders. The end result was a more unified evangelicalism, a clear focus on evangelism and missions, and a greater sense of societal concern. The sheer volume of newspaper columns, magazine articles, and books written by Billy Graham may go unmatched by any other evangelist. It’s a legacy that solidifies his influence in the last half of the 20th century and beyond. The numbers may seem to be only a small part of his ministry, but they represent much more than that. They point to the millions whose lives were changed because they heard “America’s pastor” deliver a clear gospel message. Dr. Thom Rainer shares five simple but profound lessons he learned from a visit with Billy Graham. Lessons he undoubtedly contributed to millions and millions of lives he impacted throughout his ministry. Billy Graham was a gifted communicator in sharing the gospel. His greatest legacy may be the number of Christians he mobilized to join him in sharing the good news of Jesus Christ.